An aquaponic system is an example of an integrated farming method in which the waste byproduct from one production process, like raising fish and other seafood, serves as a nutrient for another part of the system—like growing plants, for instance. The hydroponic crops in a recirculating aquaponic system use the nutrients from fish waste as fertilizer while the fish benefit from the plants' nutrient uptake capability to improve water quality. The treated water is recirculated to the plant grow beds and fish culture tanks via a pipe system. "The fish tank and pump have the most significant impact on the initial and operational costs of these systems," said Ivaylo Nedyalkov, researcher at the University of New Hampshire whose team is studying ways to improve water flow for more efficient aquaponic systems. Nedyalkov will present his team's research at the American Physical Society's Division of Fluid Dynamics 71st Annual Meeting, which will take place Nov. 18-20 at the Georgia World Congress Center in Atlanta, Georgia. The team also includes Todd Guerdat, assistant professor of agricultural engineering who is leading the biological aspect of the research, and researchers Hannah Thomas and Danielle Coombs. Nedyalkov will focus on a study in which he investigated the water flow in a 2-meter-by-2-meter square (6.5 square foot) fish tank with rounded corners and two different inlet configurations. The first configuration included inlets at all four corners of the tank. The second one included inlets at two corners only. 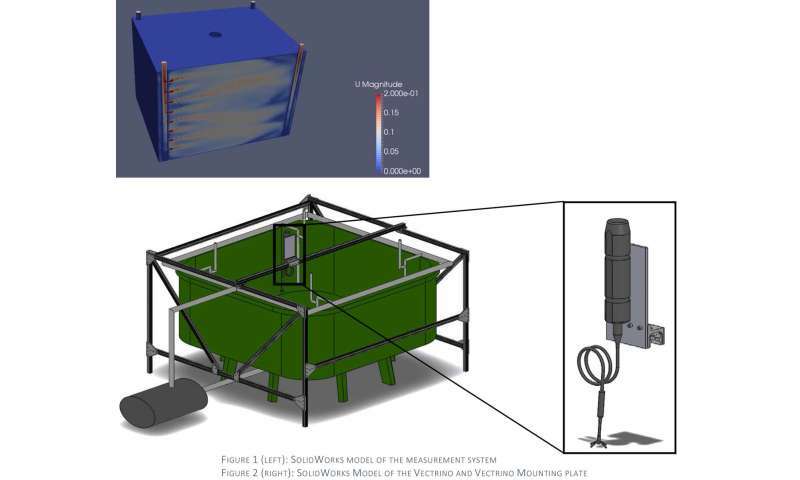 A Vectrino acoustic Doppler velocimeter was used to map the flow at three different depths. Detailed repeatability and uncertainty analysis were performed to ensure the validity of the data. "Initial results suggest that the configuration with fewer inlets and lower flow rate resulted in similar velocity profiles compared to those obtained with the configuration with more inlets and higher flow rate," Nedyalkov said. "Our research suggests that aquaponic systems can offer the same benefits using lower power consumption and thus decrease the operational cost of these systems." 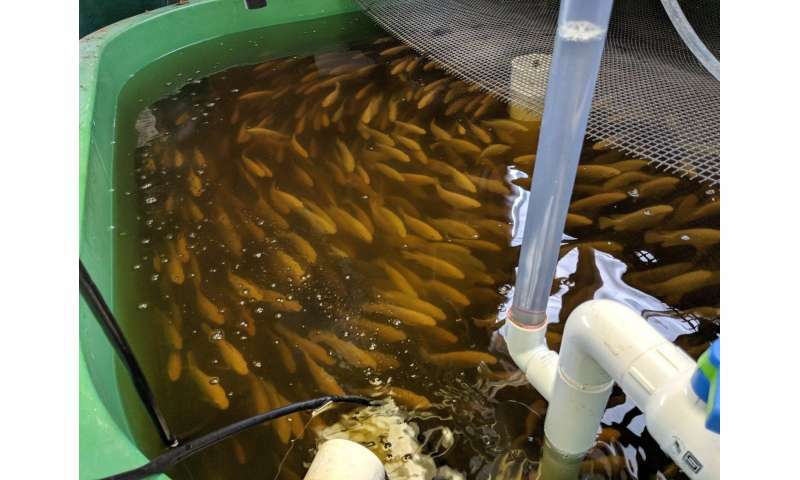 "Aquaponic production is an ideal integrated farming model that produces fish and plants for food, both locally and sustainably, through the integration of recirculating aquaculture systems and hydroponic crop production," Guerdat said. "Our research is geared toward providing a model for integrating land-based aquaculture systems with hydroponic plant production systems that can be used locally and regionally to increase sustainable food production."